Washington DC was late into the brewery game, but that is not stopping it from being a hot bed for brewing today. One of the most well known breweries in the area and in the District is DC Brau. 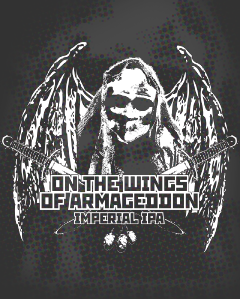 Their well known and widely popular flagship beer is On The Wings of Armageddon. Released in 2012 for the Mayan Apocalypse, this is a single hopped beer made using the Falconer’s Flight hop that clocks in at 9.2% ABV that packs a pungent aroma and blistering bitterness, but manages to remain quite balanced. It has been said by some, mainly myself, that this beer can stand toe to toe with Heady Topper. With a highly sought after beer that can legitimately be compared to Heady, you would think the echelon on brewing in DC would end there, but not so fast. “We built Right Proper to be a brewery with heart and soul, a neighborhood gathering place that makes and serves fresh beer alongside delicious food that won’t break the bank. The brew pub is the creation of DC beer guru Thor Cheston, head brewer Nathan Zeender and John Snedden, founder and owner of Rocklands Barbeque and Grilling Company. Right Proper seems to lean more towards Belgian styles such as Saisons and Farmhouse and they are doing a fantastic job with it. They brew classic styles via classic methods and brew using various fermentation techniques along with secondary and tertiary fermenting. With no beers that lean toward being too big, everything at Right Proper is very approachable and is true to the style in which they were intended. Refreshing and appropriate is the name of the game with these guys. I can speak from first hand experience that their grilled cheese sandwich is absolutely KILLER, not only in taste, but also in looks. If you want yours dripping with cheese down the sides and would make grilled cheeses in every elementary school from Portland, ME to San Diego, CA jealous, then this is your place. Being from South Carolina, I did not think that finding good chicken livers in Washington, DC would be possible, but to my chagrin, Right Proper proved me wrong. Great beer being served up with great food in a neighborhood that provides the quintessential “just hanging out with friends this evening drinking beer” feel is where Right Proper seems to be excelling. If you find yourself in Washington, DC, make it a point to check out this brewery and you will not be disappointed. Filed Under Beer News, Beer Scenes, Podcast, Uncategorized. Bookmark the permalink.